Mike Ashley, the billionaire owner of Sports Direct and Newcastle United, has vowed to save most House of Fraser (HoF) stores. Mr Ashley paid £90m to buy the ailing store chain from administrators on Friday. "In a year's time you can hold my feet to the fire on that," the founder of Sports Direct told the Sun newspaper. Before Mr Ashley stepped in to save HoF the 169-year old department store had planned to close 31 of its 59 stores, with the loss of 6,000 jobs. Mr Ashley hopes to save 80% of the stores. HoF employs 17,000 people, including 11,500 in-store concession staff. 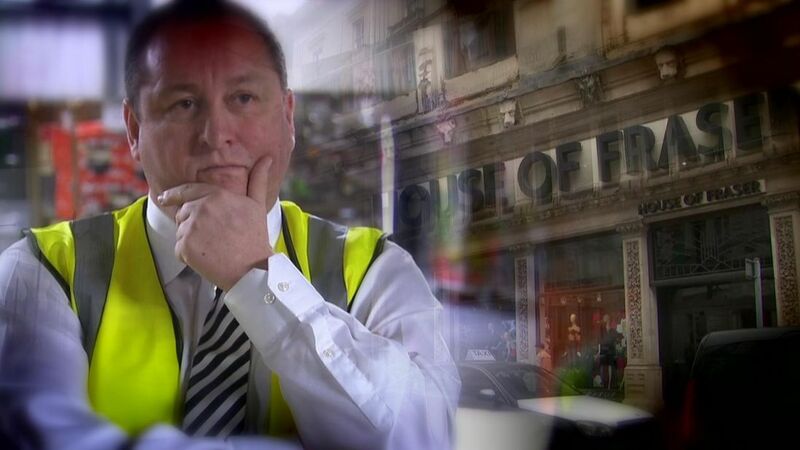 In his interview, Mr Ashley said he wanted to turn the chain into the "Harrods of the high street". "In Harrods you get some exceptional services. What we would like to do is to introduce a 'concierge click and collect at House of Fraser," he said. "When you go online and say you want to collect goods in-store you should be able to book a time, book a changing room and book a stylist. "You get that kind of personal shopping service in a Harrods. "There's no reason why it couldn't be rolled out nationally across House of Fraser."